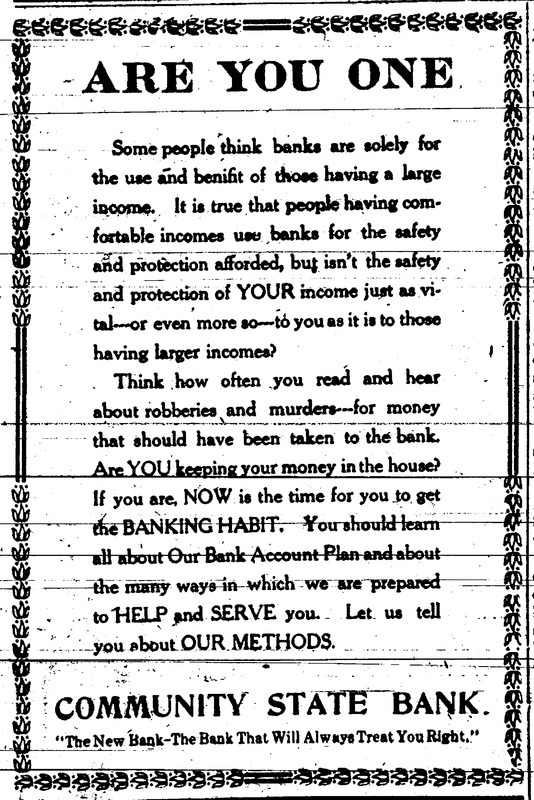 January 26, 1917 -- The Bank Wars. 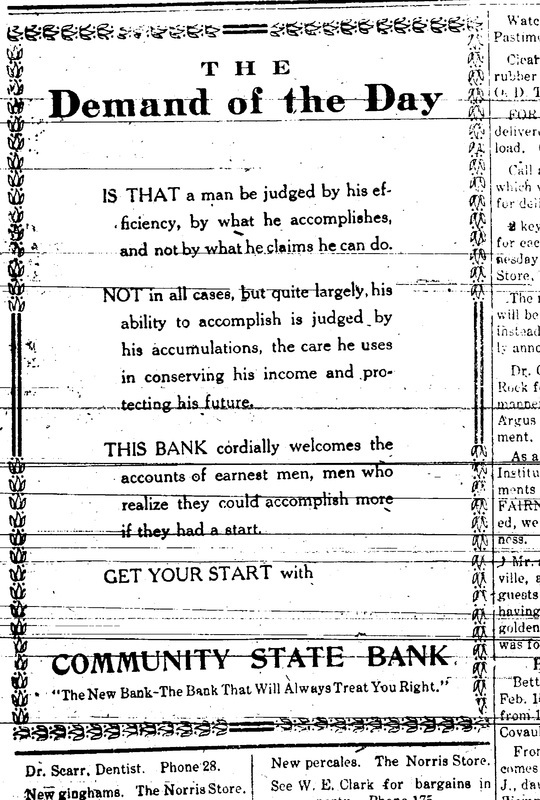 The new Community Bank triggers more enthusiastic advertising by the State Bank of Table Rock. 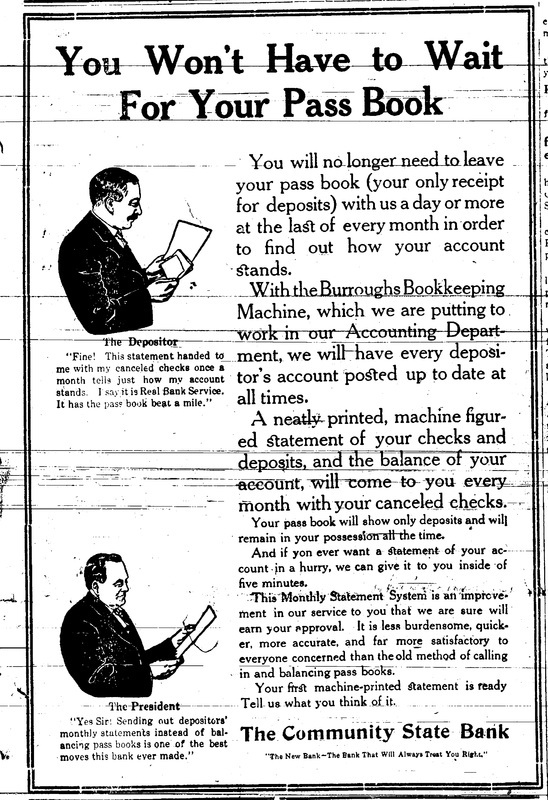 advertising that averts to the new kid on the block. 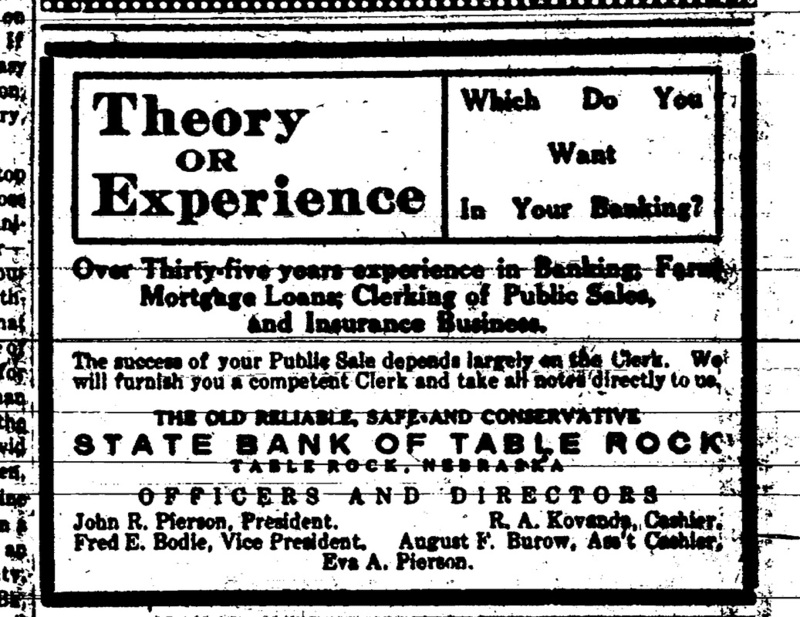 "Theory or experience, which do you want in your banking?" People generally say that it was in the retail store on the west side of the theater. An initial ad, above, says it was in the Hnizda Building. The store on the west side of the theater is part of the Lincoln Hotel Block. Was the retail space also the Hnizda building? Unlikely but possible. Photographs of the time show Hnizda businesses on the south and west side of the square. 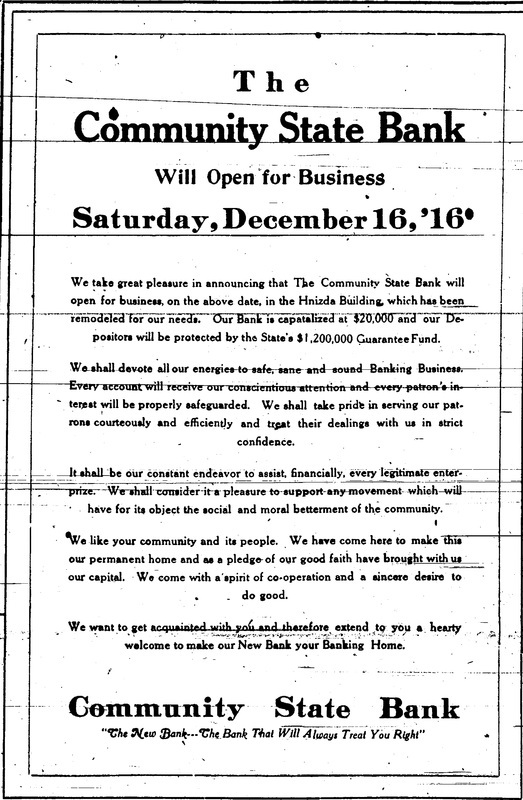 Did the bank move at some point? It is unknown. 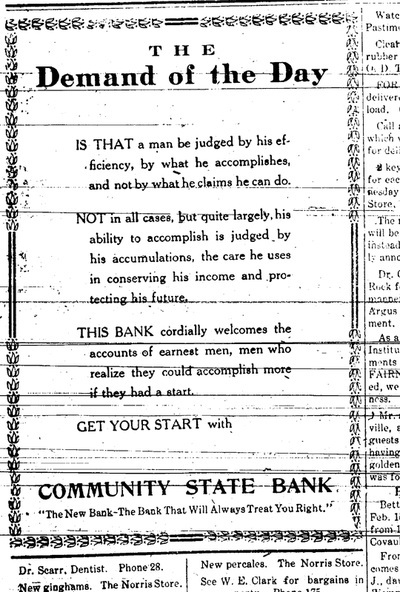 A 1920 ad, below, notes that the dentist, Jame Plihal, was moving to the second floor space over the Community Bank. FYI, Lloyd and Floyd Vrtiska, born in 1926, recall that Dr. Plihal was located on the second floor above the post office, which was then on the west side of the bank; it was accessed by stairs on the southwest corner of the building. Did the dentist move? 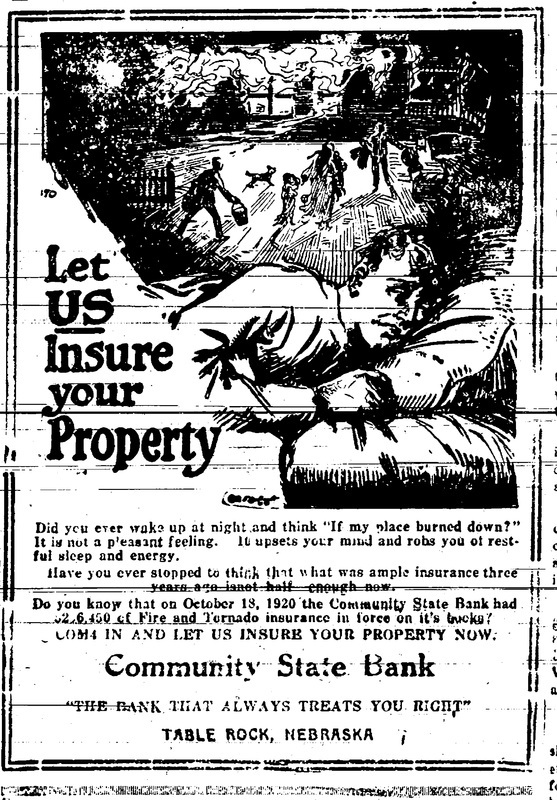 A few ads. January 2017, with our Burroughs Bookkeeping Machine, all accounts are posted to date, each month you will get a machine figured statement of your checks and deposits along with your canceled checks, and your passbook will remain in your possession at all times.